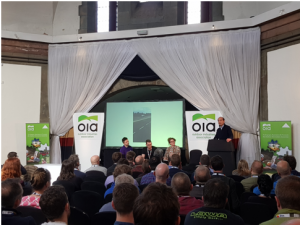 Over 160 delegates from all aspects of the outdoor industry gathered together at this year’s OIA Conference and AGM at Shrigley Hall, Cheshire. It was another successful year which saw a fantastic range of keynote presentations and inspirational talks from the likes of Daniel Raven-Ellison (London City Park), Liz McMahon (Madison Muir Group) and explorer Ben Saunders. 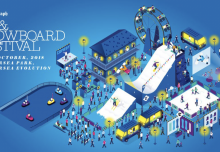 The interactive breakout sessions included Andy Atkins of Resonant, Phillipp Grüntker and Jonas Wand from the Foursource Group, David Judge and Lee Isherwood of Cornershop. Design and Gordon Young from Sheffield Hallam University who gave delegates an insight into various aspects of business. One of the highlights of the conference was the thought-provoking‘Pass on Plastic’ panel discussion chaired by AS Adventure Chairman, Frédéric Hufkens with, Seὸnaid Lafferty, Kieran Miles and Scott Nelson on the extremely contentious issue of single-use plastic. The conference started with a number of physical outdoor activities on the Wednesday morning that also went down a storm, quite literally as unfortunately, ‘Storm Gareth’ decided to hit the event at the same time. However, those who were committed to attend embraced the conditions and enjoyed a choice of mountain-biking and road cycling led by OIA members British Cycling, a 10k run with Chris Lines and a leisurely countryside walk with sponsors Ordnance Survey. The success of the conference was echoed by attending delegates who provided positive comments and feedback. Paul Trepte MD of ‘Trekitt, ‘As an independent retailer we found the OIA conference an ideal opportunity to network with business leaders and brand representatives from across the industry.